Which country is responsible for inventing the Hills Hoist clothes line, black box flight recorder and the cochlear implant (bionic ear)? Most of you would know that the answer is Australia. What about the disposable syringe, baby safety capsule and stay-sharp knife? That’s Australia again. Over the years, Australian inventors and innovators have had a profound impact on international society. From saving lives to saving time, Australian thinkers, scientists, engineers and designers have an impressive history of coming up with practical and useful solutions to significant problems. 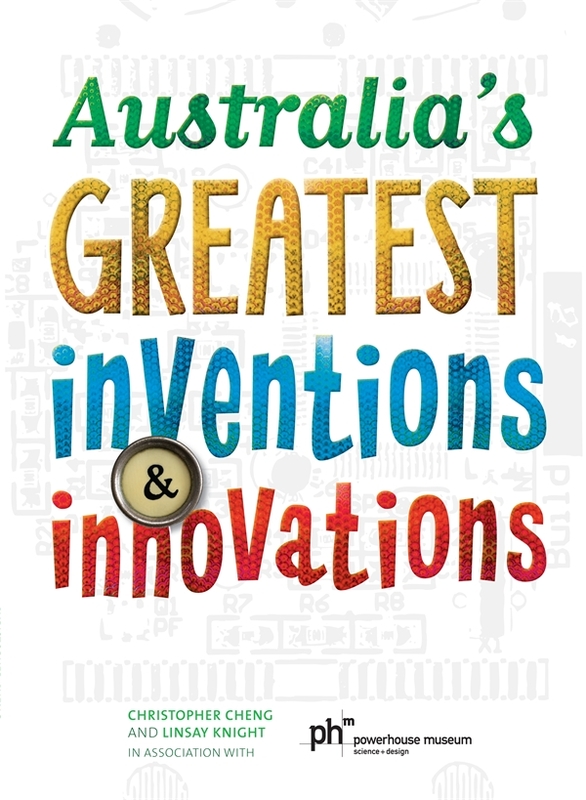 Australia’s Greatest Inventions and Innovations, a project compiled by Christopher Cheng and Linsay Knight in association with the Powerhouse Museum, offers young readers a fascinating introduction into Australia’s impressive track record of major innovation and design projects. Divided into nine categories, the book covers inventions ranging from manufacturing and agriculture to health, communications and transport as well as everyday household items. Each entry starts with a problem that needed to be solved, followed by background information and an explanation of how the invention was developed and used, as well as the impact the invention has had on our modern lifestyles. 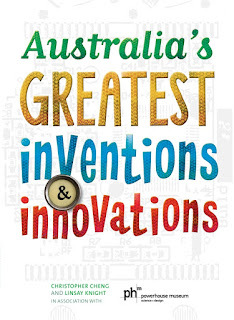 Each invention is presented with full colour photos, and a layout that will appeal to readers and draw them into what is really a wonderful journey through Australian history and a celebration of some amazing people who found practical solutions to significant problems. I was fascinated to discover the role Australians have played in bringing technology such as wi-fi into practical use. It is also amazing to consider the very significant contribution Australians have made to the field of medicine worldwide with products such as blood glucose monitors, ultrasound, spray-on skin, the disposable syringe and developing and producing penicillin for use in the treatment of infections. If you have children (or adults) in your home who enjoy trivia and gathering random facts, Australia’s Greatest Inventions and Innovations is sure to be a big hit. I’ve lost count of the number of conversations that have started with ‘Did you know…?’ since we received our copy of this book.